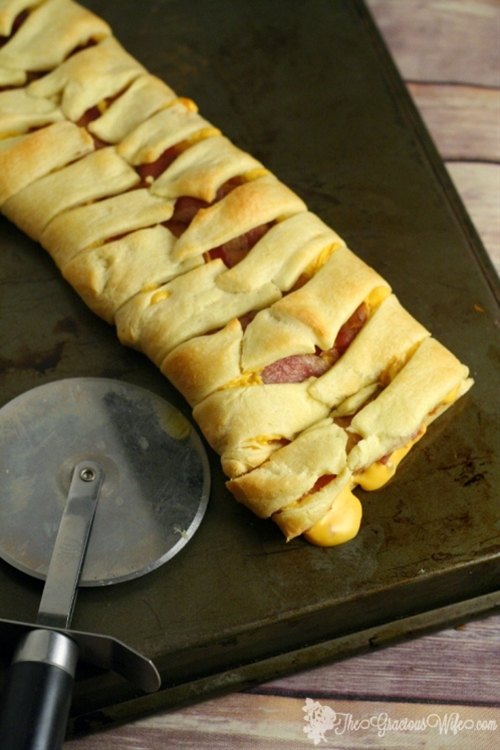 Bacon Grilled Cheese Crescent Braid is a quick and easy dinner idea, that’s super yummy. ONLY 3 INGREDIENTS! Grilled cheese, family-sized!